Young woman reading a label of food packet in grocery store. There are an almost unlimited number of food additives used today in processed foods, but most fall into one of five categories. 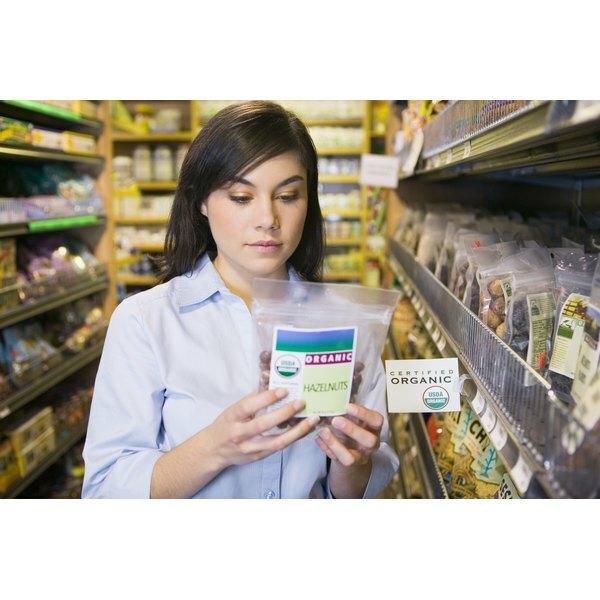 Food additives can be classified by their purpose; some add nutrients, others enhance the food’s appearance or taste and still others keep the food ingredients from separating. Food additives keep food from spoiling or from making people sick. Much debate in the U.S. surrounds the use of different additives and their potential for harm, despite the Food and Drug Administration’s assurances that additives are safe. Additives that fall under this category include emulsifiers, stabilizers, thickeners and anti-caking agents. Typical emulsifiers include egg yolks, soy lecithin and polysorbates. Baked goods, salad dressings and peanut butter all contain emulsifiers. Stabilizers and thickeners such as gelatin, pectin, whey, guar gum, xanthan gum and carrageenan keep foods smooth and even-textured. Anti-caking agents such as calcium silicate keep powders from clumping together. Food spoilage is not cost effective, and it can make people extremely sick, besides. Preservatives such as ascorbic acid, sodium nitrite, BHA, BHT or citric acid decrease bacterial, viral or fungal growth and keep oils from going rancid. Preservatives also keep foods from changing color or losing their freshness. Jams, jellies, baked goods, cured meats and oils all contain preservatives. Lactic acid, citric acid and other agents control the pH of foods, reducing spoilage. Color additives enhance or introduce color to a number of products, including meats, candy, cheese and soft drinks. Nine color additives are approved by the FDA for use in foods. 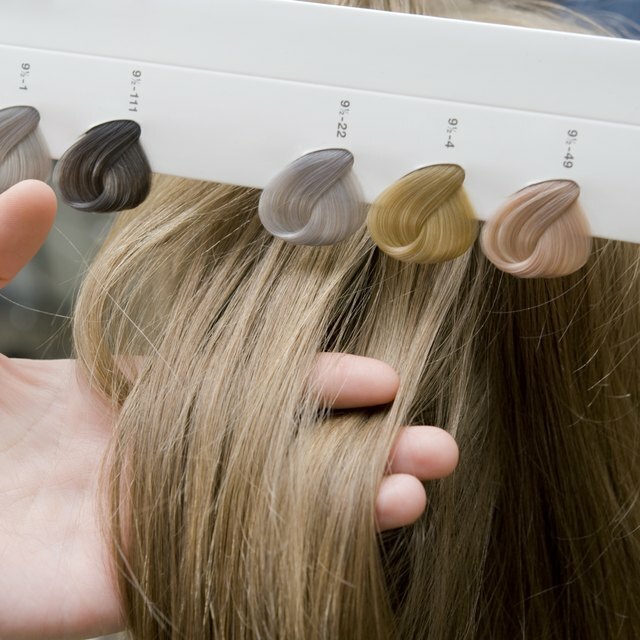 Food color additives also prevent color loss over time. Tartrazine, also known in the United States as FD&C yellow No. 5, is one of the most questioned food dyes for its possibly hyperactive effects on children. FD&C yellow No. 5 is also the food color most likely to cause an allergic reaction and hives, according to the FDA. Flavor enhancers include spices and ingredients such as monosodium glutamate. Artificial sweeteners as well as sugar and corn syrup are used as flavor enhancers. Vitamins and minerals are often added to foods to enhance their nutritional value or to replace vitamins and minerals removed during the refining process. B-complex vitamins, vitamin C, vitamin D, calcium and iron are often added to foods. Fat-soluble vitamins are added less frequently than water-soluble vitamins because ingesting excess fat-soluble vitamins, which are stored in the body, can cause serious side effects. Baking soda and calcium carbonate are two frequently used leavening agents, which ensure that baked goods will rise or at least not fall. Breads, cakes and cookies contain leavening agents. Understanding Food Additives: Why Use Additives?